February's featured cheeses are all shaped like hearts: Petit Bonheur, Old Flame, and Heart's Desire - three of our farmstead-style bloomy rind artisan cheeses that are perfect for a quiet dinner for two. 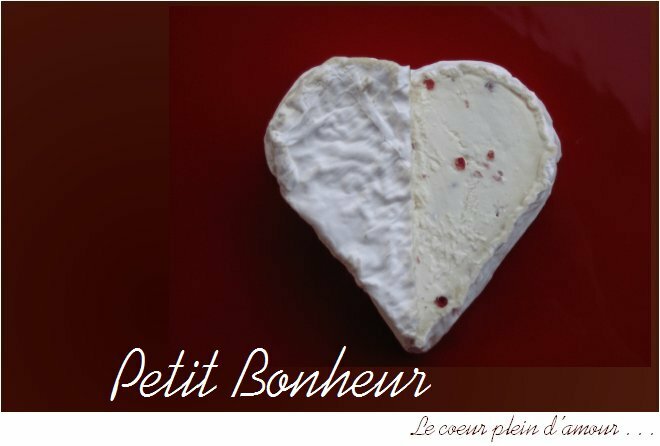 Petit Bonheur is studded with pink peppercorns, providing sparks of piquant flavor throughout. Old Flame is quieter - a silky cheese that ripens to a complex and mellow flavor over time, like a good relationship. And Heart's Desire is smoky and seductive, coated with Spanish paprika for a luscious touch. *Note: Because we hand-ladle and hand-pack our cheeses, the individual weights will vary.